I’ve always been curious about the KOIN center. When I was younger, I remember going to see a movie at the now defunct KOIN Center Cinema. Aside from that experience, I didn’t know much about the building. 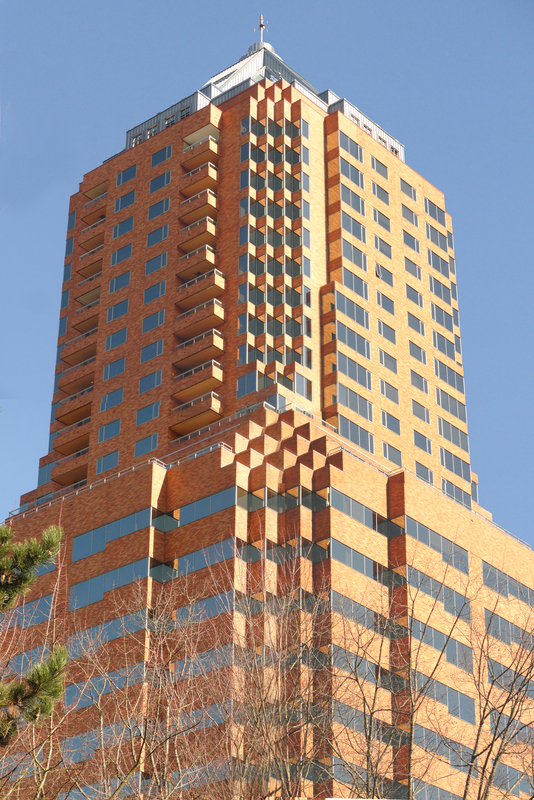 It’s Portland’s third tallest skyscraper and was designed by Zimmer Gunsul Frasca in 1984. 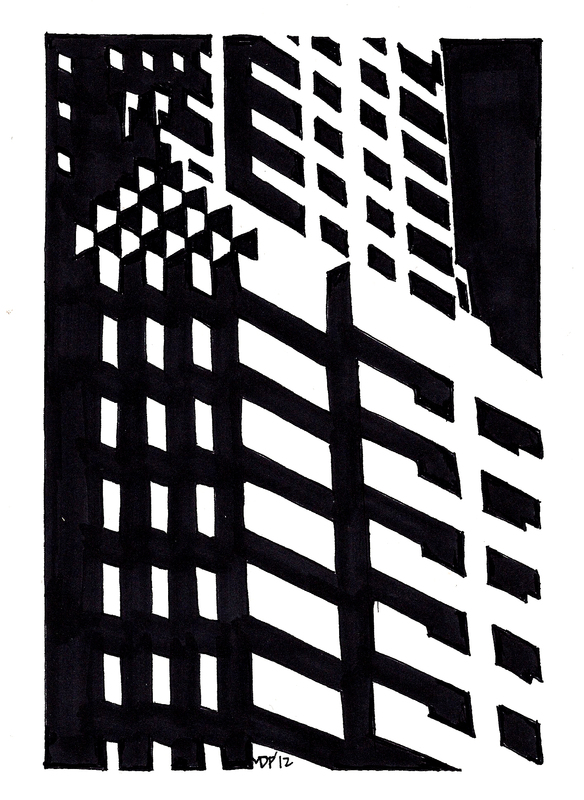 It stands at a modest 509 feet. I was able to make a building diagram by referencing a few floorplans I found online, but the condominium floors at the top are a mystery. Floors 20-31 are called the Fountain Plaza Condominiums and information on them seems non-existent. 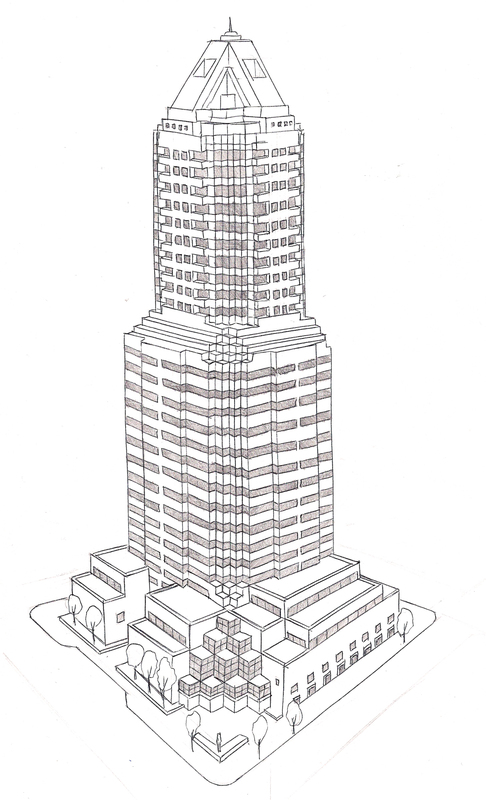 I’m always curious to see floorplans of high-rise apartments, so if anyone has information, let me know.